Dewalt Heavy-Duty 18 Gauge 18V Cordless Swivel Head and Shear Kit. Head swivels 360° which allows user to access tight quarters while maintaining comfort. 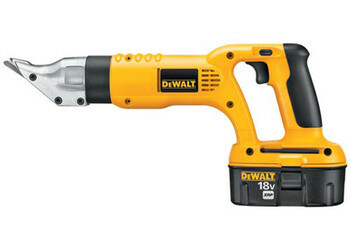 Cordless tool allows user to take the tool to the work piece.